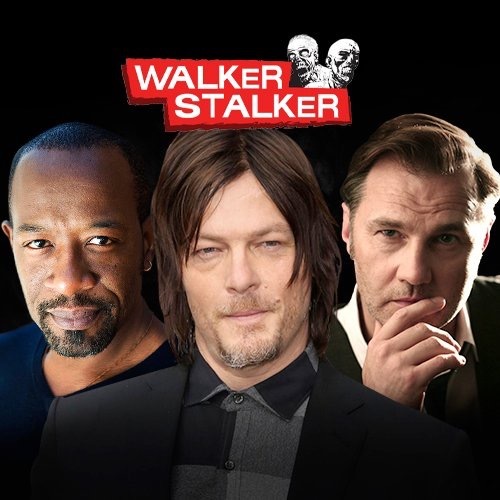 FRANKLIN, Tenn. — Zombie enthusiasts and fans of the number-one show on television, The Walking Dead, will have the opportunity to meet their favorite stars at the upcoming Walker Stalker Con at the Greater Philadelphia Expo Center at Oaks, October 1-2. Walker Stalker Con has become an incredibly popular convention, offering something for everyone from the diehard fan to families to those with a growing interest in the genre. More than 30 of the most popular actors from shows such as The Walking Dead, Bates Motel, Gotham and more will speak to the audience, meet fans, pose for photos and sign autographs. The Walking Dead Experience, is an immersive theatrical attraction in which small audience groups are placed in the middle of the action as either “walkers” or “survivors” and moved through a story by performers. The Walking Dead: David Morrissey (“The Governor”), Chandler Riggs (“Carl”), Emily Kinney (“Beth”), Laurie Holden (“Andrea”), Michael Cudlitz (“Abraham”), Josh McDermitt (“Eugene”), Christian Serratos (“Rosita”), Lennie James (“Morgan”), IronE Singleton (“T-Dog”) — in all, there will be 26 actors from the show in attendance. The full lists of guests is on the Walker Stalker Con Philadelphia website. Walker Stalker Con is a convention for fans of zombies, horror, and sci-fi produced by Fan Fest. Fan Fest is the leading convention and entertainment news brand in North America, with shows in more than 15 cities worldwide, and an audience in the hundreds of millions. With exclusive guest appearances at Walker Stalker Con and Heroes and Villains Fan Fest, and behind-the-scenes access to the stars of The Walking Dead, Once Upon A Time, Arrow, and the DC Cinematic Universe at FanFest.com, Fan Fest gives their audience a truly one-of-a-kind fan experience.